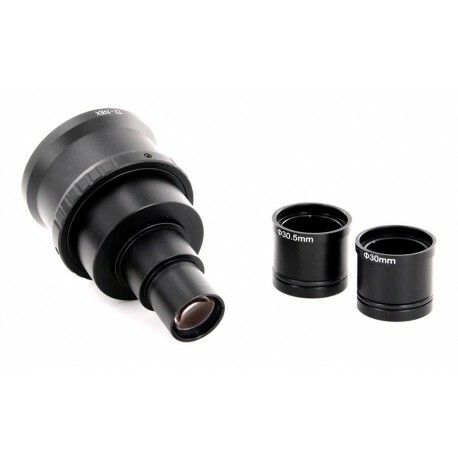 This Fixed Magnification Camera adapter set works with all Pentax "Q" Prime Cameras and will fit most popular Ocular ports. The 2X magnification can even handle Full Frame sensors without Vignetting. Directly fits 23mm Ocular and Trinocular Ports.